1. U.S. authorities have failed to trace, arrest, try (prosecute), and punish anyone responsible for the crime against humanity committed on 9/11. 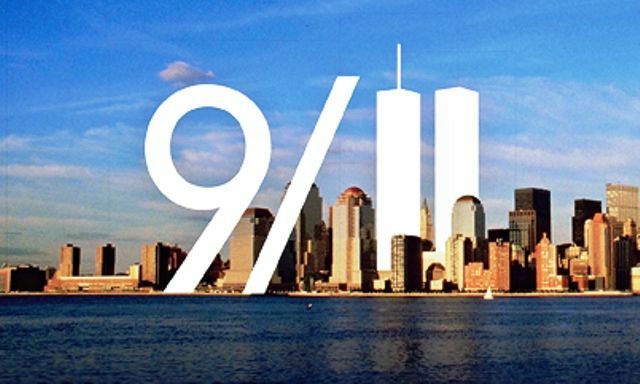 The mass murder committed on September 11, 2001 represents, under international law, a crime against humanity. The State where it was committed – in this case the United States of America – bears the obligation to the international community to trace, arrest, try, and punish individuals responsible for that crime. Since 2002, U.S. authorities admit they have detained a handful of persons at Guantánamo Bay who are accused of helping to orchestrate 9/11. Their identities remain in doubt; their alleged confessions were made behind closed doors; and their trial by a military court does not fulfill minimal international norms of due process. U.S. authorities claim to have sentenced Zacarias Moussaoui to life imprisonment for not having warned the FBI about the preparations for 9/11, an allegation he denied. No evidence was presented that he was involved in the preparations for 9/11 or knew anything about these preparations. No evidence was presented that he even knew the alleged hijackers. U.S. authorities also claim to hold, since 2003, a man by the name of Khalid Sheikh Mohamed (KSM) in Guantánamo who allegedly confessed to have masterminded 9/11 and more than 30 other terrorist operations. He also allegedly confessed to having planned an attack on a bank in Washington State that did not exist until after he was already in Guantánamo. The man, whose identity remains murky and whose connection to 9/11 is limited to what he said in his ludicrous confession, has not been prosecuted, let alone sentenced. No one seriously expects him to be ever brought to trial, let alone a trial fulfilling international norms. 2. When announcing to the United Nations their decision to attack Afghanistan, U.S. authorities failed to provide evidence that the crime of 9/11 was in any way connected to Afghanistan. In fact, such evidence has still not been produced. See the letter from U.S. Representative John Negroponte to the President of the UN Security Council, October 7, 2001 (mirrored here). 3. The United States government did not authorize an investigation of the events of 9/11 that could have fulfilled minimal international standards: The 9/11 Commission was neither independent nor impartial, and its investigation was neither thorough nor transparent. 4. Despite vilifying Osama bin Laden as a terrorist leader, judicial authorities in the United States have failed to charge him in connection with 9/11. He was not even wanted in connection with this crime. 5. Authorities in the United States have failed to produce clear and convincing evidence that the 19 persons named by the FBI as 9/11 hijackers even boarded aircraft that they are alleged to have subsequently hijacked. To be precise: U.S. authorities have failed to produce authenticated passenger lists that would include the names of the alleged hijackers; witnesses who saw these alleged hijackers in the airports or boarding the aircraft; authenticated security-camera videos proving their presence in the airports of departure; and DNA identification of these individuals’ bodily remains (see detailed analysis in Elias Davidsson, Hijacking America’s Mind on 9/11 [Algora Publishers, New York, 2013], Chapter 2). 6. U.S. authorities have failed to produce clear and convincing evidence that passenger airliners crashed at the known landmarks on 9/11. The FBI admitted in a letter to the Nevada District U.S. Court on March 14, 2008, signed by Assistant U.S. Attorney Patrick A. Rose, that records detailing the collection and positive identification of the wreckage of the crashed aircraft do not exist (Letter mirrored here). He thus admitted that the FBI failed to formally identify the wreckage found at the various crash sites as belonging to the allegedly hijacked aircraft. It is, therefore, not established that the allegedly hijacked aircraft crashed at these locations. 7. U.S. authorities have failed to explain why more than 1,100 persons, who were present at the World Trade Center on 9/11, vanished into thin air. Vast parts of the Twin Towers were literally pulverized as can be seen from video recordings, photos, and testimonies. Of more than 1,100 missing persons, not a single tooth, nail, or bone has been found as of 2011 (See, inter alia, Anemona Hartocollis, “Connecting with lost loved ones, if only by the tips of fingers,” The New York Times, September 11, 2011 [mirrored here]). U.S. authorities have never explained what could have caused more than 1,100 persons to vanish without leaving a trace. They bear the obligation, under human rights law, to determine the reason for such disappearances. 8. U.S. authorities compensated families of 9/11 victims that agreed to waive their right to further court action. The compensation exceeded by at least seven times what was paid to the families of firefighters who died in rescue operations on 9/11. The families of 9/11 victims received from the U.S. Compensation Fund, established in October 2001, an average of $2.1 million if they agreed to waive their right to engage in civil proceedings (see, inter alia, Brian Bernbaum, “9/11 Fund Chief Faults Payments,” CBS News, 4.9.2003 [mirrored here]). As of 2013, spouses of firefighters who die in line of duty can obtain $333,605 under the Public Safety Officers’ Benefits (PSOB) Act (42 U.S.C. 3796). The figure for 2001 was undoubtedly lower. The 95 families, who did not apply to the Compensation Fund and preferred to let courts determine their rights, obtained an average of $5.5 million in out-of-court settlements (see, Ashby Jones, “The 9/11 Victim Settlements: A Chat with Skadden’s Sheila Birnbaum,” The Wall Street Journal, 13.3.2009 [mirrored here]). 9. U.S. authorities have failed to explain the effect of numerous military drills conducted on the morning of 9/11 – including the simulation of aircraft hijackings – on the commission of the mass murder. Military drills caused confusion and surprised military and civilian personnel responsible for air traffic, as reported in U.S. media. For example, NORAD Major General Larry Arnold said that, “By the end of the day, we had twenty-one aircraft identified as possible hijackings.” (See, Eric Hehs, “Conversation with Major General Larry Arnold,” One Magazine, January 2002 [mirrored here]). Colonel Robert Marr, NEADS battle commander, said he had been told that across the nation there were “29 different reports of hijackings.” (See, Robert A. Baker, “Commander of 9/11 Air Defenses Retires,” Newhouse News Service, March 31, 2005 [mirrored here]). U.S. authorities failed to explain how these drills affected the commission of the crime, including the apparent failure to intercept hijacked aircraft. 10. U.S. authorities promoted numerous officials who, according to the official account on 9/11, had failed to carry out their duties with regard to 9/11. Not a single person has been held accountable anywhere in government for what went wrong on or prior to 9/11. The above facts are sufficient to reject the official account of 9/11 and consider the administration of President George W. Bush as the main suspect for this crime against humanity. While the facts are not sufficient for leveling criminal charges against specific individuals, they permit general conclusions to be drawn regarding the dangerous nature of the U.S. regime and the complicity of the political class, mainstream media, academia, and the justice system of NATO member states in covering-up the crime of 9/11 and shielding those responsible for that crime. This article was originally published on Truth and Shadows.